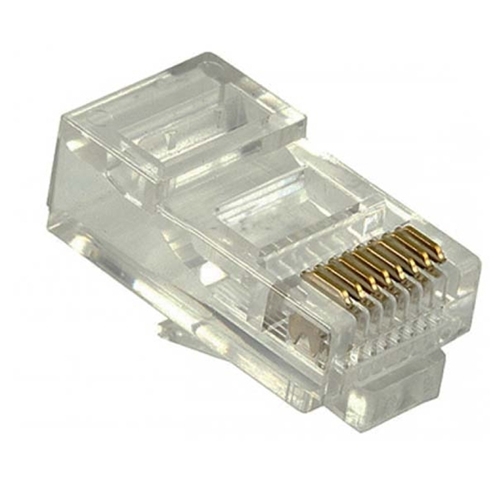 Our modular plugs RJ-45, 8-position for stranded conductors. 50 micro-inch gold plated contacts. Meets FCC Section 68 specifications and UL listed. Different model plugs available for both flat satin and round stranded wire. Round, stranded plugs are for 26-24 AWG. Dual strain reliefs other superior tensile strength. Matched application tooling available. 50 Count Pack.